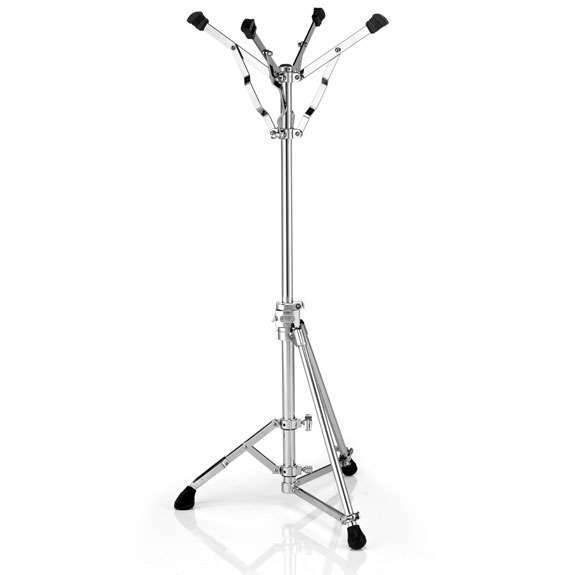 The Pearl MBS-3000 Advanced Marching Hardware Bass Drum Stand is designed by experts in making the world's most reliable percussion hardware with the world's most experienced contemporary marching percussionists. The MBS-3000 Marching Bass Drum Stand features a traveling front leg that allows up to 13 inches of adjustment for placement of the stand in the bleachers or on any unlevel surface and is also fully height adjustable. The top portion of the MBS-3000 comes from Pearl's original time-tested design of the MBS-2000. It cradles the drum on four insulated posts for increased stability during long hours of practice. In addition to Marching Bass Drums, this stand can also be used for a set of Orchestra Bells or Trap Table Top. Perfect for use in a front ensemble outdoors where the front sideline is not always level.